We’ll buy your old fishing boat off you! Get your quote today! Are you all as excited for fishing boat season as we are? As the weather gets nicer and nicer, the summer is always best spent out on a fishing boat. Spending time out on the water catching the big trophy winner on your line is the best. 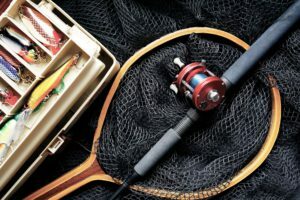 Fishing and leisure boats have been innovating what luxury on the water means with brands like Alumacraft, Bayliner, and Sportsman. It’s a great time to be a sports boat owner because you don’t have to sacrifice leisure and awesome sports features. Do you find that you can’t relate and have to make that comprise with your current boat? Any good fisherman knows that your vessel is part of the complete fishing experience, so why compromise? There are plenty of better, affordable boats out there, so what’s holding you back? If your answer is financing, we can help! Get rid of that old boat quick with SellUsYourBoat.com! Get The Money For Your Next Boat or Boats Purchase! If you’re looking to sell your used Alumacraft in major states like Michigan or Florida, we’ll buy it off you. We buy used boats off residents in these states and more like Texas, California, and New York just to name a few! Used runarounds, used overnighters, and used bass fishing boats we buy them all! We made our buying process quick and simple. Fill out our online form here and we’ll give you a price we want to pay. We’ll buy your used Bayliner Element and Bayliner Bowrider off you along with Alumacraft models like the Trophy series and Prowler model as well! We’ll buy your used aluminum fishing boats and brands like Alumacraft and Bayliner. We want to get your used fishing boats and leisure boats from you before it gets too late in the season. So don’t delay! Sell us your boat today!